Knowing how to read an eyeglass prescription is important! While you likely know whether you're nearsighted, farsighted or have astigmatism, determining that from your prescription slip is another thing entirely. That's why we've put together a short guide to help you learn how to read your eye prescription so you can get to ordering your new set of eyeglasses as quickly as possible. When you've just completed an eye exam and find your eyes’ needs have changed, you need to order a new prescription as soon as possible. That's where your new prescription from your optometrist or ophthalmologist comes in. Most online retailers ask you to read and input your prescription into their order form, but if you don't know how to read your prescription, that process can get complicated. What Do 'OD' and 'OS' Mean? 'OD' and 'OS' mean 'right eye' and 'left eye' in Latin, respectively. In some rare cases, your prescription may also include a column labeled 'OU,' which means both eyes. What Are the Terms on Your Eyeglass Prescription? The terms on your eyeglass prescription are numbers that describe exactly how your glasses lenses should be cut so you can enjoy high quality vision accuracy. Typically, you’ll see several abbreviations and words labeling all of your important data. Look below to learn more about your SPH, CYL, Axis, Prism, PD, and more. The term "sphere" is essentially the degree of correction needed to correct your near or farsightedness. The number indicates the lens power needed to correct astigmatism in your eyes. The axis indicates the orientation of astigmatism, measured in degrees from 1 to 180. The number ranges from 1 to 180, with the number 90 corresponding to the vertical meridian of the eye and 180 corresponding to the horizontal meridian of the eye. If you do not have astigmatism and do not have a cylinder power on your prescription slip, you will not have an axis number, either. A prism number indicates the amount of prismatic power, measured in diopters, needed to compensate for any alignment problems in your eyes. This will either appear in a column of its own or be included in the prism column. This column indicates the direction of a prism by noting the relative position of its thickest edge. If the base is directed upwards, the column will read "BU," "base up" or simply "up." If the base is directed down, it will read "BD," "base down" or "down." If the base is directed toward the wearer's nose, the column will read "BI," "base in" or "in." If the base points away from the wearer's nose and toward the ear, the column will read "BO," "base out" or "out." The number associated with either of these terms indicates the additive power needed to correct your immediate near vision if your prescription is primarily for distance correction. This number indicates the distance from the center of one pupil to the center of the other, and is an important number for lens customization. 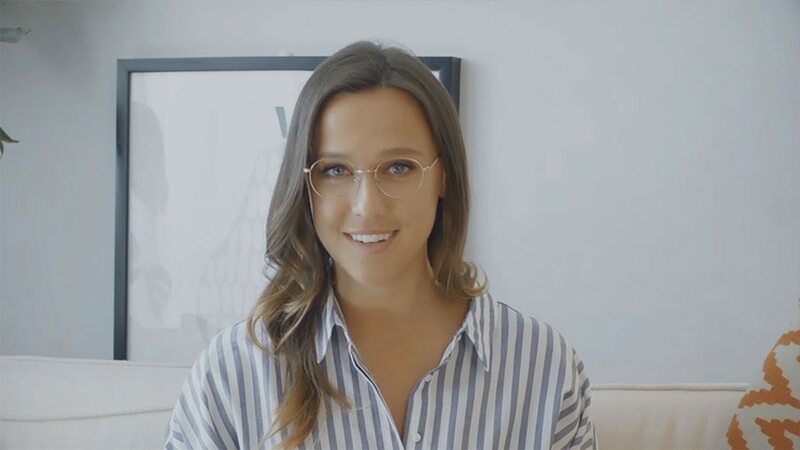 Now that you know what these terms mean, you know how to read a glasses prescription — that’s the most important part of learning how to buy prescription glasses online. By learning these terms, you can also more easily discuss your prescription with your eye care professional.